Skin: BATHING Since the Sphynx is hairless and their skin produces oils, it is important that you maintain their hygiene. We usually wash our cats weekly, but monthly baths are necessary to wash off the oil and dirt buildup. Fill the tub with lukewarm water; if it’s hot on your wrist then it will be hot for the cat, be sure to check. Shampoo the cat (we use Aveeno baby tearless shampoo) and rinse fully. DO NOT GET WATER IN THEIR MOUTH, EYES OR EARS. Don’t forget to towel dry your sphynx, as they feel the same way as you do when you come out of the shower… cold. Like most furry cats, some of our cats dislike baths greatly. In these situations we swear by the Earthbath All Natural Cat Wipes (found on amazon). SUN EXPOSURE Like all other cats they love their sunlight especially for warmth, but keep in mind that unlike other cats their skin is exposed subjecting them to sunburns and skin cancer. We try to keep sun exposure as minimal as possible, and instead have heating pads on which our cats love to spend time on. Do not use sunscreen on your cat, there aren’t any sunscreen safe for cats, not even baby formulated ones. Keep sun exposure to minimal periods of time. TEMPERATURE Sphynx are indoor cats and are sensitive to the cold. If your cat’s ears and paws are cold, it’s a sign that they are not warm enough. We suggest having a heating pad at home for these purposes, as well as a blanket they can cuddle up inside. You can also dress them up in sweaters if you would like, although it is not necessary we do have a few for our cats. Teeth: Weekly brushing is a must. Without dental hygiene maintenance your cat will be susceptible to gum diseases and tooth decay. If you neglect weekly brushings and occasion dental checks at the vet, your sphynx can develop a severe, painful, and pricy illness. We use the C.E.T Poultry Enzymatic toothpaste. Eyes: Because Sphynx kittens and cats do not have eyelashes to keep dust and particles from the environment out of their eyes, they do develop mucus in the corner of their eyes. When this happens, just gently wipe it away with a warm (not hot) damp napkin from boiled water. Make sure you aren’t harsh, because this is a sensitive area. Healthy mucus can be clear or brown in color. If the mucus is yellow, that is a sign of infection and it is important to get this to the attention of a vet. Ears: Since the Sphynx is hairless and produces oil, the ears accumulate dark colored dirt quickly. We clean our cats’ ears weekly, after their baths. This isn’t necessary, but for appearance purposes we do like to maintain the hygiene of their ears. The dirt also varies from cat to cat, we’ve had cats that never had dirty ears, and others that needed daily maintenance. We use a q-tip dampened in the Virbac Epi-Otic solution. Claws: Our cats get their nails cut every two weeks. 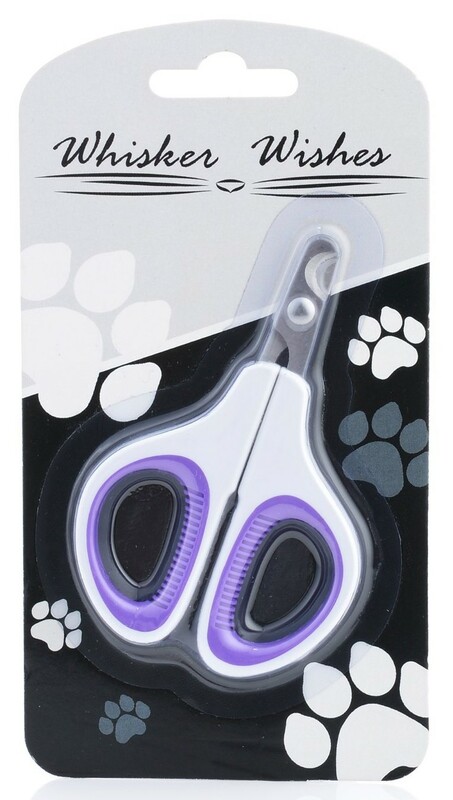 We use a special cat nail clipper. This is a very delicate area and it is important not to cut near the pink/white area, that’s where the nerve endings and blood vessels are located. Also from sweat accumulating in the skin flaps around the nail, there can be a brown/black build up. We suggest removing it after their bath, with a dampened q-tip. If this isn’t maintained, the cat can develop a fungal infection in the nail. Food: We feed our cats dry, wet, and table food. Dry food (we switch between Blue Wilderness and Orijen) is available to the cats at all hours. Once in the morning and once in the evening we feed our cats wet or table food. For canned wet food we switch between the Drs.Foster&Smith, Blue Wilderness, and Natural Balance brands(and different flavors as well) so that the food isn't repetitive. Sometimes we substitute wet food with table food such as boiled chicken or fish, cut it up finely and serve it. If the cats seem hungry during the day we give them snacks such as cottage cheese. 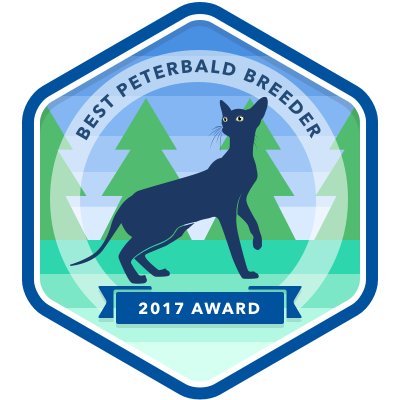 Any Sphynx breed is most definitely not a low maintenance cat, they need a lot of care and attention. If you are not able to maintain the health and hygiene needs (which can get pricy) then unfortunately this is not a cat for you. They are high standard and need special care to feel mentally and physically healthy and happy.